Sea Links City is the first and complex in Vietnam comprising of Sea Links Beach Hotel, Sea Links Golf & Country Club, Sea Links Beach Villa and Rang Dong Castle situated on an area of more than 168 hectares. It is at the entrance way to Mui Ne, Phan Thiet and 198km from Ho Chi Minh City. Sea Links lies in the heart of a simply breathtaking area of the countryside. Sea Links Golf & Country Club: It is in the class most prestigious in Vietnam. Sea Links Golf Club was built on an area of 160 hectares on a cliff with wild and beautiful sand dunes with amazing views of the ocean below. Sea Links Beach Hotel: The 5-star Sea Links Beach Hotel offering 188 rooms with luxury & spacious rooms, private balcony with daybeds, modern equipment & premium bathroom amenities. The hotel also offers outdoor tennis courts, spas, restaurants and swimming pools that is suitable for different ages. Sea Links Beach Villa: It is situated in the prime location of Sea Links City, Sea Links Beach Villa offer properties with finest furniture & fittings, warm, cozy yet modern design overlooking to the spectacular view of the Sea Links City and the panoramic ocean views. Rang Dong Wine Castle: Inspired from the charming Napa Valley of the US, Sea Links City proudly introduces its first Rang Dong Castle in Phan Thiet, Mui Ne and ever in Vietnam. It a wonderful experience for you to enjoy a tour of tasting senses throughout the Castle. For wine lovers, the authentically-styled, Western-prototyped castle, breathtaking views abound at every turn – mustard in picturesque rolling hills planted with vineyards year-round of every stature dot the landscape of the Sea Links City. Besides the convenience above, Sea Links City is not only suitable for a holiday, but also for other exciting activities. Sea Links looks over the ocean, with panoramic views of Mui Ne Bay and this region has the best weather all year round. 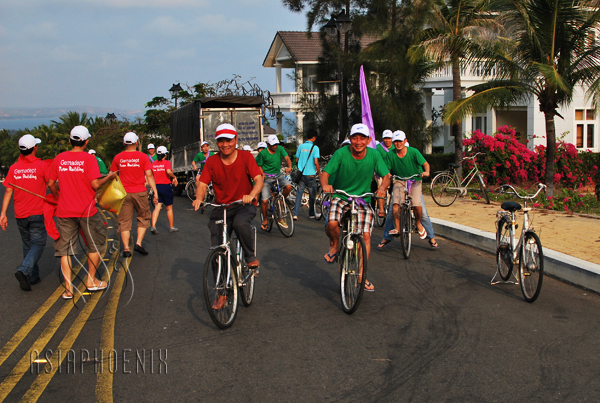 The tourists at Sea Links can experience for themselves a modern but traditional life style that exists nowhere else in Vietnam and or even in Asia. All places above are side by side so it is appropriate for team building, gaming, amazing race and so on. It is also nearby some host of attractions, such as Duc Thanh School, Van Thuy Tu Palace, Cham Poshanu Tower, Phan Thiet Beach, Sand Dunes. 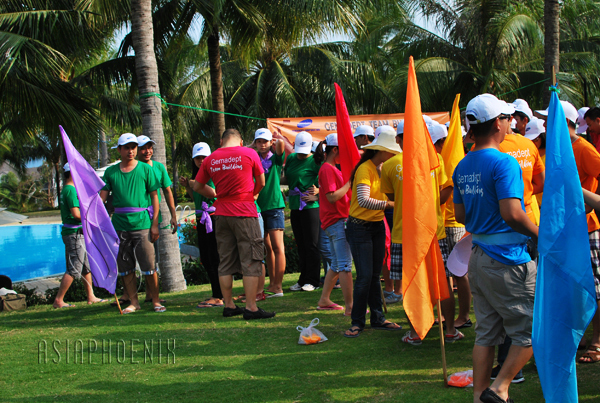 Because of that, Sea Links City is an ideal place to host team building programs. We have organized a lot of team building programs here so we strongly believe to provide accommodation for your family gatherings, team buildings or indulging comfort. We sure that you will enjoy exclusive experiences at Sea Links City. 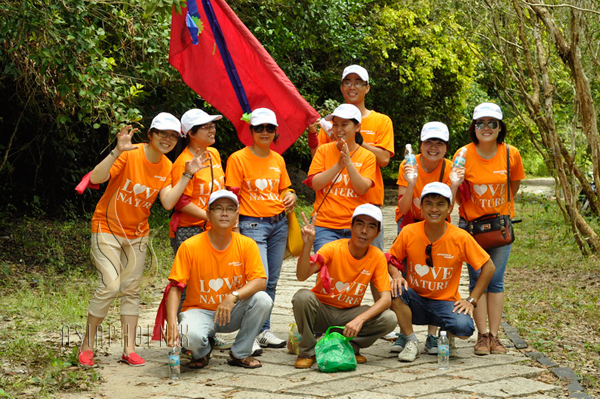 Phuoc Buu National Park is located in Xuyen Moc district, Ba Ria-Vung Tau Province. 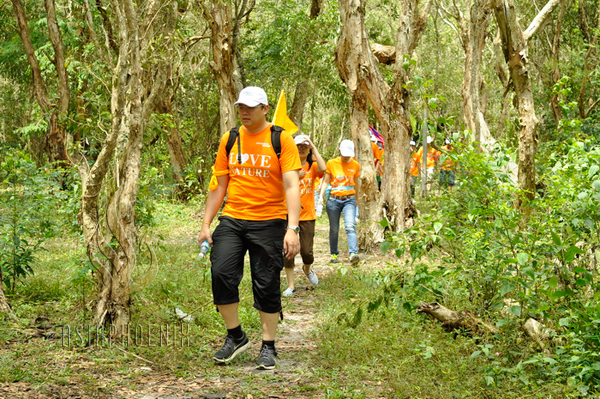 It is one of the few areas along the coastline of Vietnam to retain a significant cover of natural forest. The area of the forest only makes up to 10.537ha so it makes the biome here is so multiform. According to researches, there are about 750 kinds of plants, within 732 kinds were found here. Some of them are in IUCN Red list of Threatened species. Besides the diversity of plants, animal population is also very copious. In this forest, 178 species were discovered. Among them, there are also many rare species in the world. Here also has an animal rescue center occupies 8ha and a small park inside collecting rare plants that attracting many tourists. The park lays in the tropics with fantastic landscapes, forests, mountains, hills, springs, lakes together with sea, wonderful beaches, and its characteristic ecosystems. Total area of the park is over 22.000ha, the flat region has 9.902ha area, stretch from the north to the south. The west mountain’s area is 350ha. The sand-bank is 17km along the seashore, this part occupies 940ha. 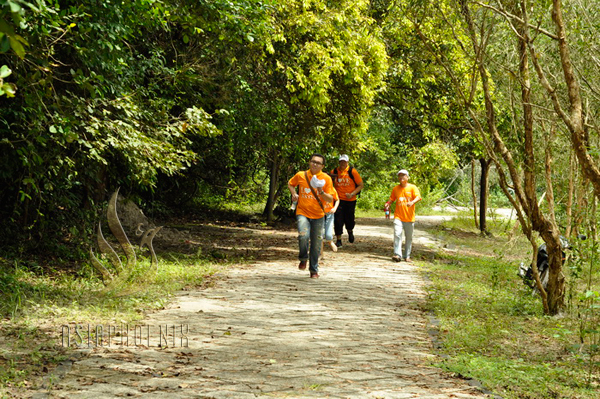 The park has total 43-km-long river, it takes 200ha scattered. Given those advantages, it is a wonderful place for you to explore and experience. Walking or riding bikes along the beaches in fresh air to see lines to lines casuarina-tree, summer cherry blossom is an unforgettable memory, too. After that, you can go to the beach, enjoy the cool water or lie down on the beach in the sun. Visiting fruit orchard is another choice. If you want to experience as a fisherman, you can get in fishing villages for making fishing bait, fishing-net and going fishing with people there. 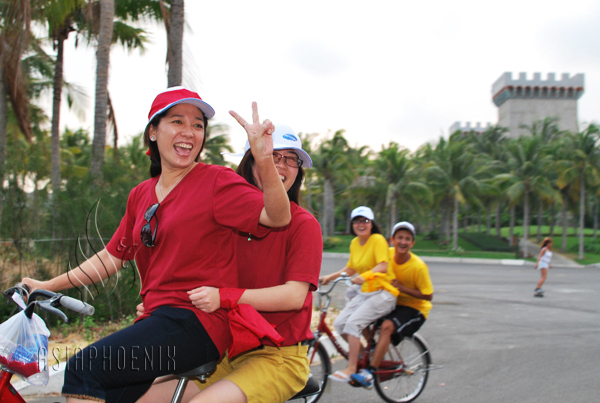 When you are tired caused of those activities, you should visit Ho Coc Beach. Ho Coc Beach is located in the southeast Phuoc Buu National Park. Ho Coc is surrounded by the forest. There, you can take a rest, relax and enjoy the peaceful space. Another nearly beach is Ho Tram Beach. It is a wild beach with golden sands beaches. The seawater is fresh and clean, unpolluted by wastes. You can bathe in the sea, take part in sports activities on sea, and enjoy the natural landscapes or relaxation. Travelling here, tourists not only can enjoy fully the pure environment but also discover many special interesting things. You even can have a real BBQ party in forest cover. Enjoying grilled seafood and meats in a fresh and pure space will be a pleasant experience. Another exciting game is to dress as a forest man and try living without modern devices. 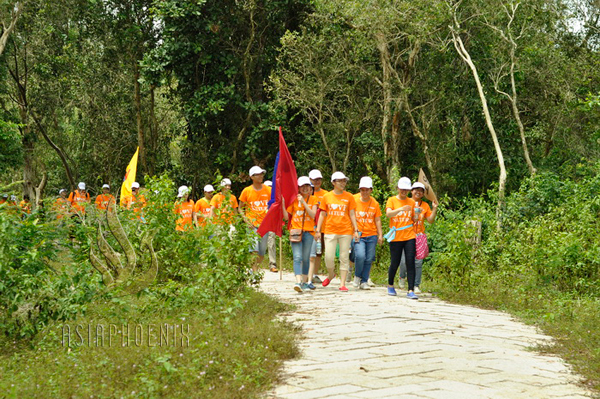 With many interesting things above, Phuoc Buu National Park is really suitable for travelling, picnics, and also teambuilding, amazing races, finding treasure, which is suitable for people at different ages. 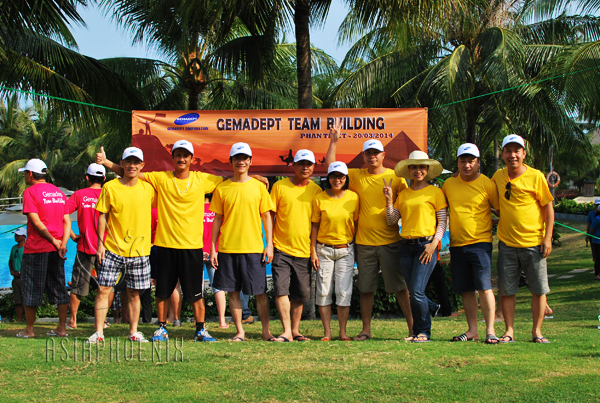 Teambuilding programs that we have host here are always taken great feedback. When getting here, we sure you will have comfortable and relaxing trips deeply sunk in wild nature that you never forget.